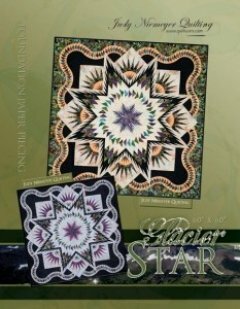 Glacier Star is a pattern available through Certified Shops. The basic pattern is 60 X 60. A queen extension can be purchased to create a 90" X 90" masterpiece. It was first offered as a Technique of the Month program, but now the complete pattern is available.